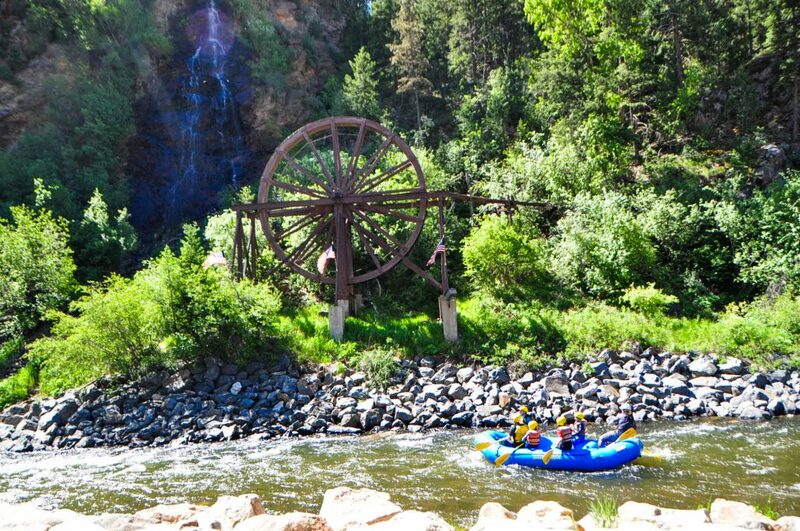 Clear Creek River rafting is in prime season now. 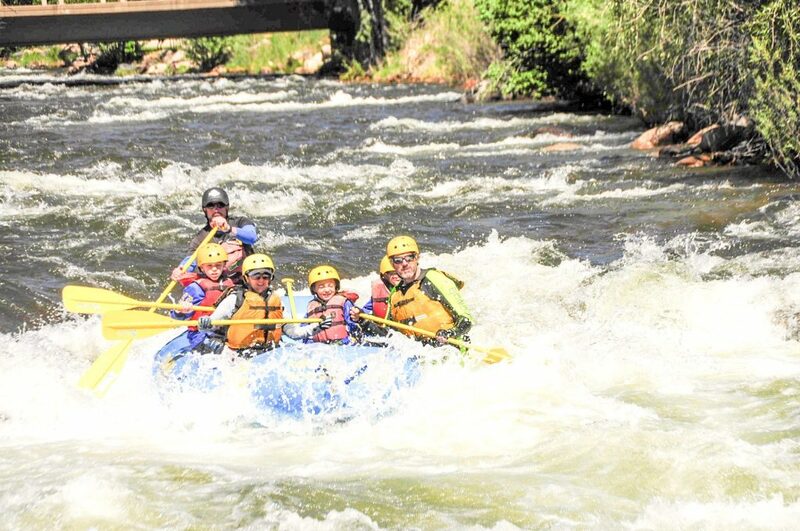 Come join us for whitewater rafting close to Denver, Golden, or Boulder (less than 1 hour) for half day adventures. 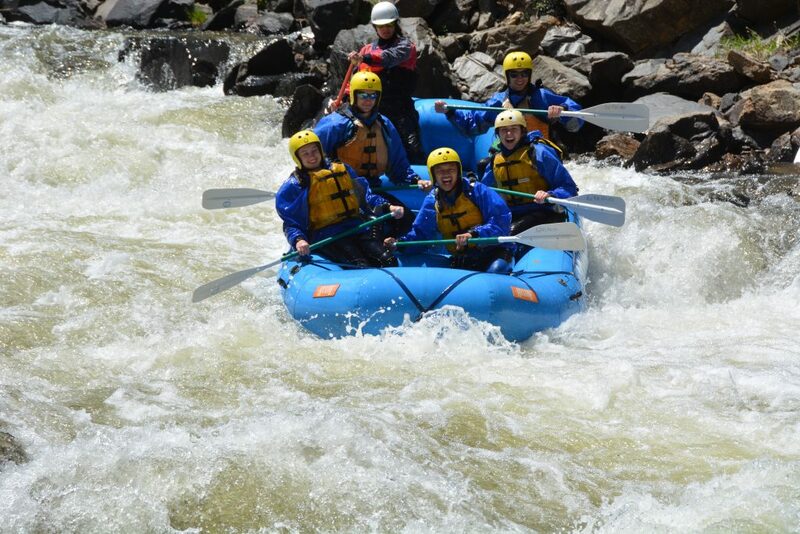 We are offering both beginner and intermediate rafting trips daily on the Clear Creek River. Sections for beginner and intermediate are dictated by flow rates. Below is what we are currently running, but may change as river flow rates increase or decrease. 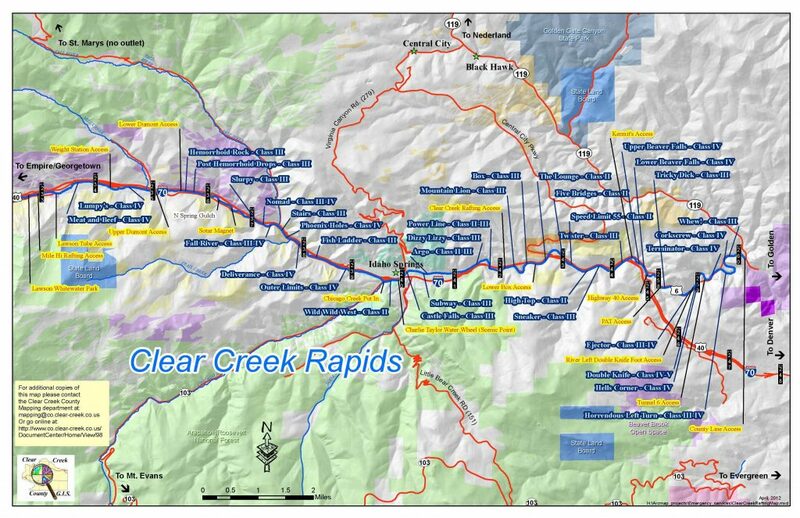 Beginner Section of the River: Put-in – Chicago Creek (Idaho Springs and Mt Evans Road). Take-out: Kermit’s Access. Mileage: 4.5 miles and about 1 hour to 1:15 on the water or 2-2:30 hours total time with safety speech, transportation to put-in and takeout and gearing up. Clear Creek River Beginner Rafting Highlights (Class III): Castle Falls (Class III), Subway (Class III), Dizzy Lizzy (Class III), Powerline (Class III), Mountain Lion (Class III), Box (Class III), Twister (Class III). This is a great beginner 1/3 day trip with eight class three rapids and multiple class 2 rapids. Most famous sights: Argo Mine and Charlie Taylor Water Wheel. Upper River Put-in: Lower Dumont Access or Sotar Magnet. Takeout: Take out at Kermit’s – same as beginner trip. Mileage: 8 miles and about 1:45 hour to 2 hours on the water or 3-3:30 hours total time with safety speech, transportation to put-in and takeout and gearing up. This trips combines the beginner trip section above but adds 5 class IV sections: Nomad, Fall River, Phoenix Holes, Deliverance, Outer Limits. Lower River Put-in: Intermediate and Advanced. Below Kermit’s to County Line: Class IV and V. This is a great sections for intermediate and advanced paddlers.